Good players need talent but they also need great coaches. We are very happy to be able to introduce you to the squad coaches who will be taking the players through the 2018 playing season. Each of the coaches are qualified and chosen for their commitment, enthusiasm and motivational skills. We anticipate that the players will respond brilliantly to these eager, hard working leaders. Through the season they will be using the skills from their coaching qualifications to encourage every player to perform to the best of their ability and to increase their confidence and to deliver skills and tactics training to enhance the team performance. Coaching Achievements: I have obtained my UKCC Level 1. I also regularly coach Luctonians junior rounders squad and umpire rounders at intermediate level. Playing Experience: I have 20 years playing experience and play for two different teams; No Balls and Orleton in local leagues. I also play for the England Senior Squad and this will be my fifth season. Other interests: I play and umpire netball in three different leagues and I also love horse riding. 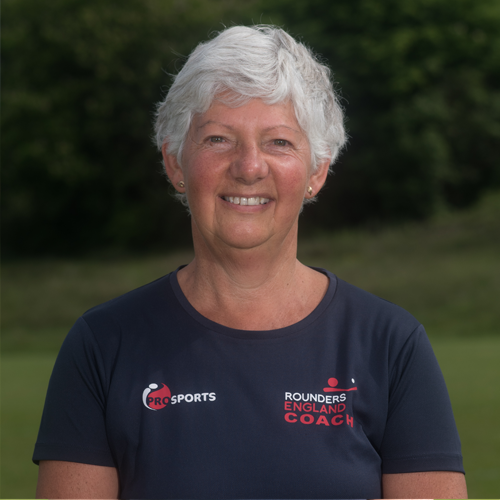 Coaching Achievements: I have loved coaching rounders throughout my career, from school U8 teams, to national IAPS U13 champions and England teams of various age groups over the years! Coaching recently at school in Kenya was quite surreal with a backdrop of zebra, giraffe and wilder beast! Playing Experience: I have played for several teams either at 1st post, BS or 1st deep and yes I am left handed but sometimes try a sneaky right-handed hit! Other interests: Tennis – social and league and walking two energetic dogs. Occupation: Assistant Head Teacher in charge of Pastoral Support, Safeguarding and PE & Sport – Courthouse Green School in Coventry. Coaching Experience: Level 1 awards in Cricket and Netball. Level 1 & 2 Football. I have coached lots of schools and club rounders, cricket and football. I have taken Year 11 teams to Nationals several times and also entered school teams into the Ladies League. I also umpire rounders at National level. Playing experience: I have represented England and Leicestershire at U21 and Senior level back in the late 90s until around 2006. Currently, I play in the Leicestershire Ladies league for Fianna. I have also previously chaired the Leicestershire League. I missed a couple of seasons when working in the States at the start of my career and Softball just didn’t cut it, so I came home! Other interests: I love to watch the cricket and I am quite capable of losing whole days of my life when there’s a test match on. I’m also a history and politics geek and will happily talk to anyone that will listen about the impact of one on the other until they beg me not to anymore! I really love to be in the outdoors, preferably on a beach (in any weather) but walking, hiking and general outdoor adventures are a passion of mine. I’m very fortunate that my work allows me to take young people on these adventures too and I am always the first to organise or volunteer for the residential trips. Coaching Achievements: I have coached the England U14’s for 3 years and they all have been very successful. Most of the girls I have coached have moved up through the ages groups and into the senior teams. I have taken them on 2 tours to Isle Of Man and Guernsey in which we have been unbeaten. 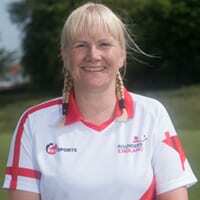 Playing Experience: I have played for England Rounders from the age of 12. I have had the opportunity to captain them for 7 years, and now I am playing my 3rd year in the adult squad. I have met some amazing friends along the way, which will be friends for life, it is an amazing opportunity to get involved in sport and to me it’s like having a second family. Playing Experience: I have captained the England Senior squad for the past 6 years. 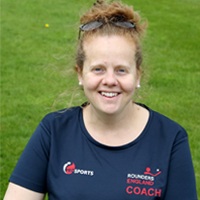 Coaching Achievements: I have coached the England Under 19 and Senior squad. As well as this I have coached the County Upper School team at the national finals. 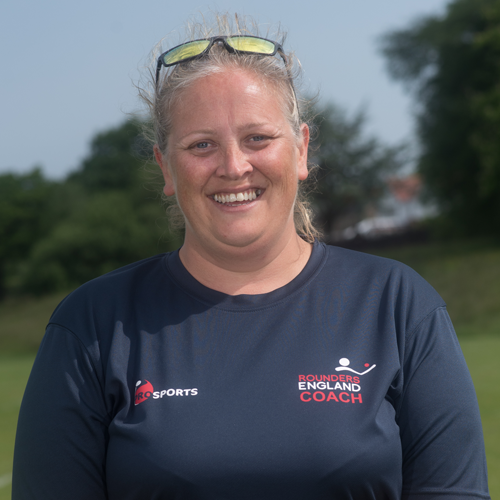 Coaching Achievements: My coaching achievements include; Levels 1 & 2 FA Coaching, Level 2 ECB Cricket, Level 1 ETTA Table Tennis and Level 1 in Rounders. 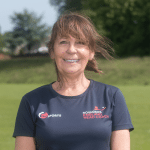 Playing Experience: I have 25 years playing experience in various mixed rounders teams in Sheffield. Other interests: Umpiring, coaching and playing for other local sports teams in Cricket and Football. Occupation: Retired but I’m busy with volunteer roles. 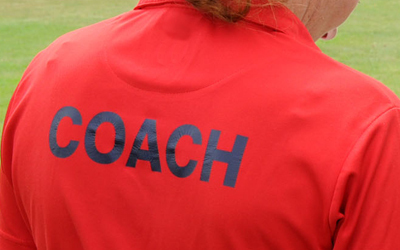 Coaching Experience: UKCC Level 2 rounders coach and UKCC Level 2 netball coach. I have coached rounders and netball in Hull schools and clubs, for East Riding of Yorkshire Council & East Riding College. I’m also a rounders national umpire. Playing Experience: I have played club rounders for over 15 years. I formed the Hull Works Sports Association Rounders League in 2007. I play in the East Riding Ladies Rounders League. I’ve also enjoyed playing in fun games with England players, such as beach rounders in the Isle of Man. Other interests: I’ve played netball in Hull leagues for over 30 years and dread the day I’ll have to hang up my boots. Coaching the Reckitts netball club girls is very rewarding, helping them develop into confident little netballers. I’m passionate about rounders and netball. I love both sports equally and look forward to being with my rounders and netball friends. Watching wildlife is another passion. I love watching and listening (with a hydrophone) to cetaceans in particular. One highlight was a week swimming with humpback whales in the Atlantic Ocean. Playing Experience: I have over 30 years playing our sport. I played both mixed and ladies Rounders in the South Yorkshire league, captaining the teams and winning many trophies along the way. I played for England on three occasions and represented England in the first tour of the Caribbean in 2001. 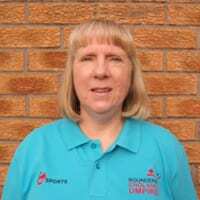 Coaching Achievements: I am a UKCC Level 2 coach and I’m also a Level 2 Intermediate Umpire. I have coached the England Under 17 and Under 19 squads back in 2005/6. 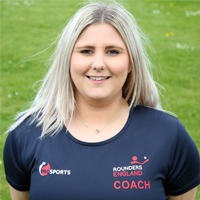 I have been the Events Organiser and Head Coach at Rounders England since 2010 and each year I’m loving the game more and more! You don’t need to be a skilled player to be a great coach. An enthusiasm for teaching and a passion for the game are much more important.